What better way to start off 2017 than to find out that you received a sponsorship from the prestigious Sprout Fund’s 100 Days of US campaign? On January 20, 2017 ( Inauguration Day) a little more than 100 people joined Reel Q at City of Asylum’s newly opened Alphabet City as we hosted a free screening of the inspiring film “THE FREEDOM TO MARRY“. The 100 Days of US was started to “create opportunities for people to respond to pressing issues facing our country and to take local action on those issues during the first 100 days of the next presidential administration” (Sprout Fund). 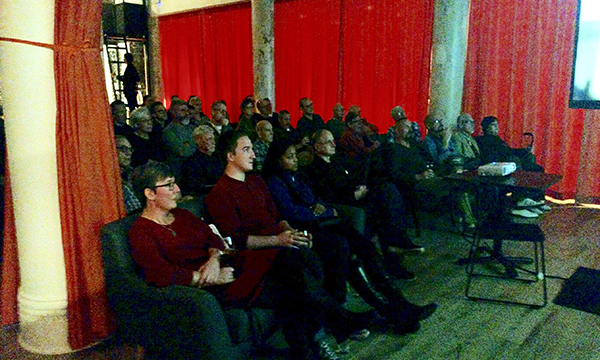 Reel Q organized the screening for the LGBTQ+ Pittsburgh community (and our allies) because we wanted to remind our friends that we are an arts organization for everyone in Pittsburgh and together we can accomplish anything. 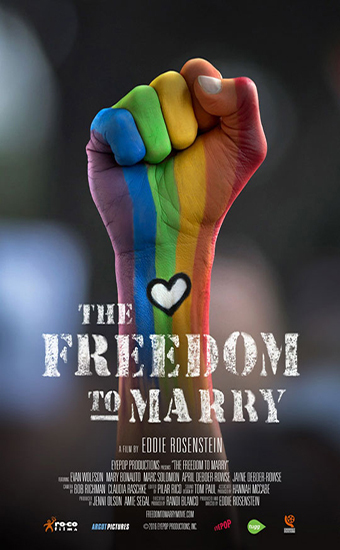 “THE FREEDOM TO MARRY” is an intimate and epic documentary which goes behind-the-scenes to reveal the inner workings and key players of this historic civil rights struggle. This is a riveting ride alongside Evan Wolfson, the man known as architect of the movement, civil rights attorney Mary Bonauto, and their key colleagues as they wage their climactic battle before the United States Supreme Court, providing fresh perspective on the movement’s history along the way. This is a primer for social change, and an inspirational tale of how people can actually make a difference.